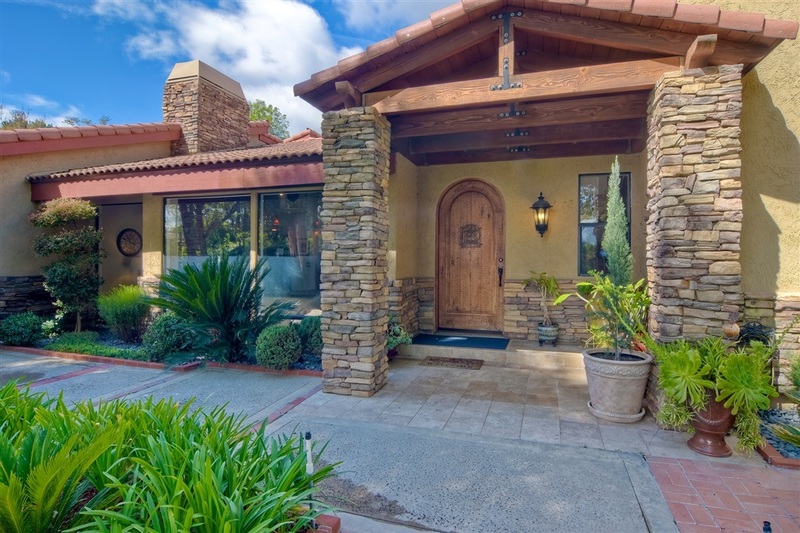 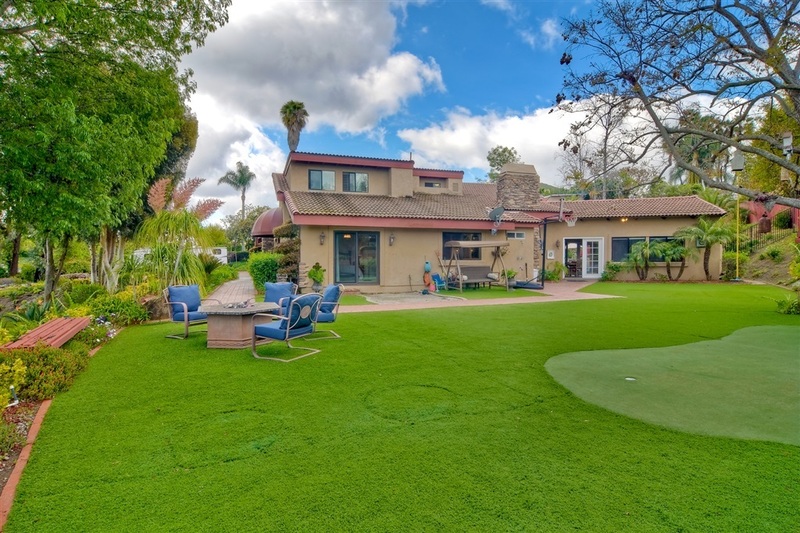 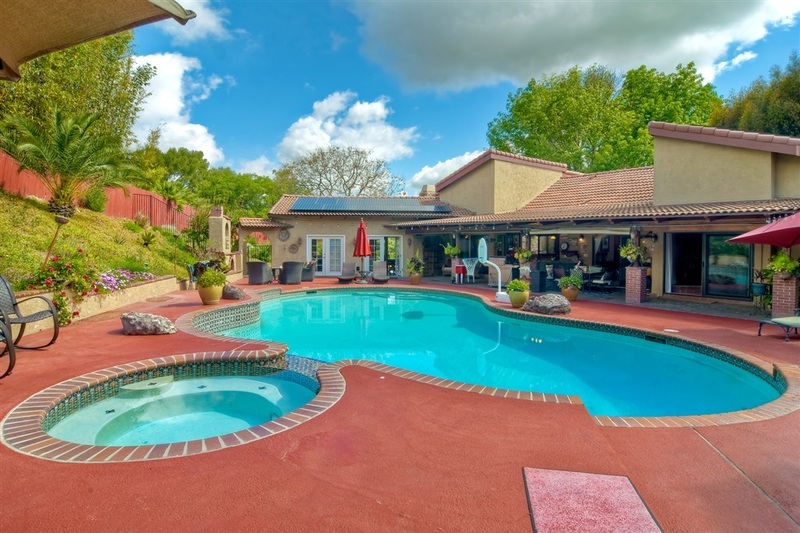 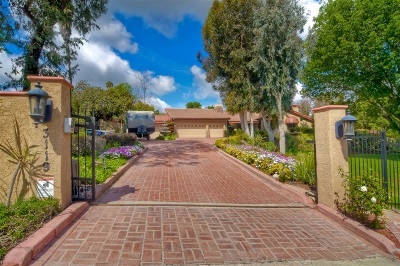 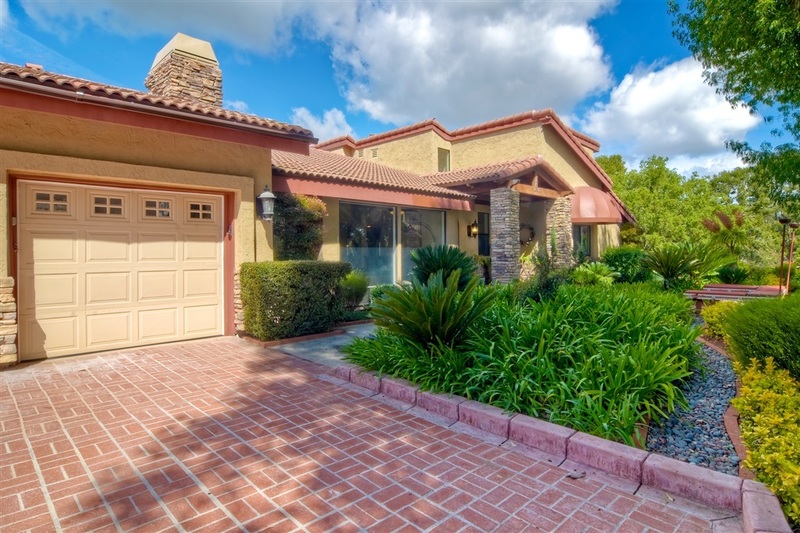 Incredible opportunity to own this Spanish-Style gated retreat, nestled in the Quiet Hills neighborhood of Escondido. 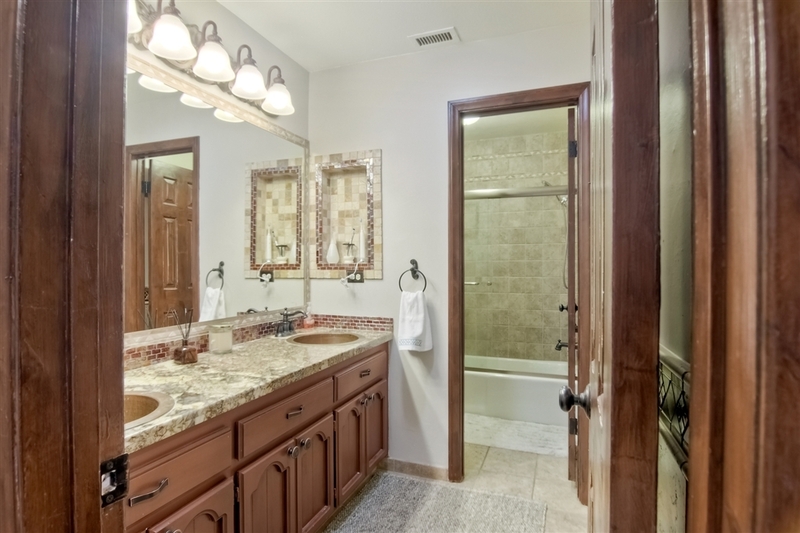 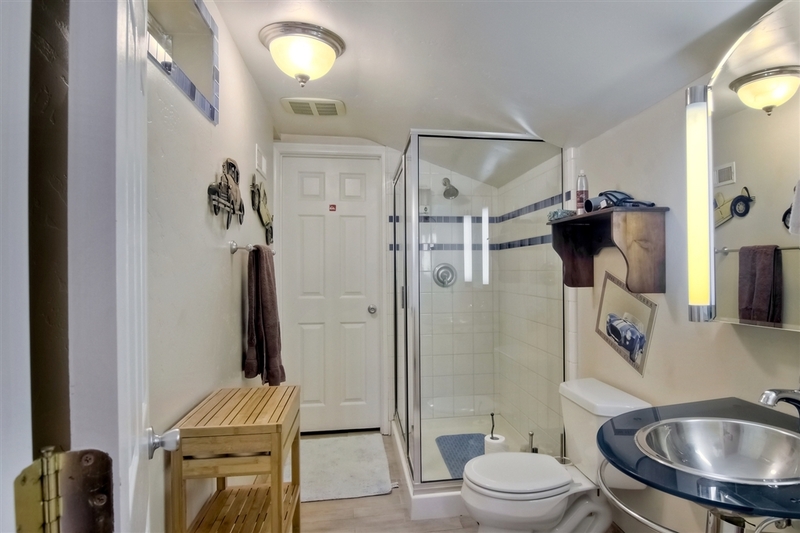 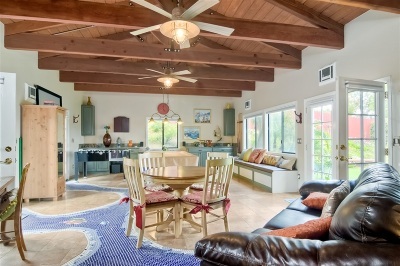 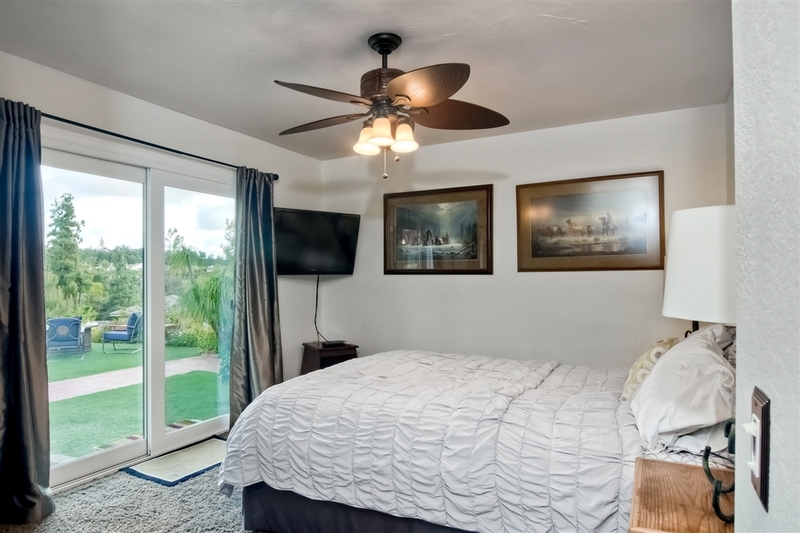 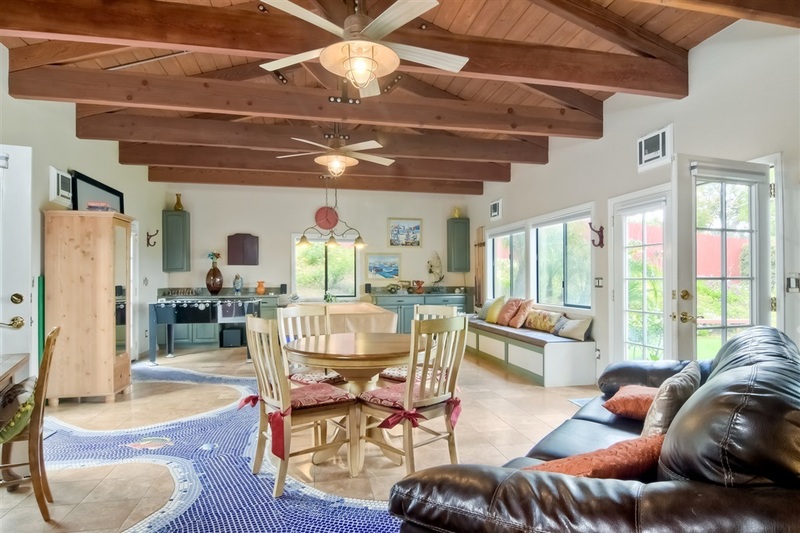 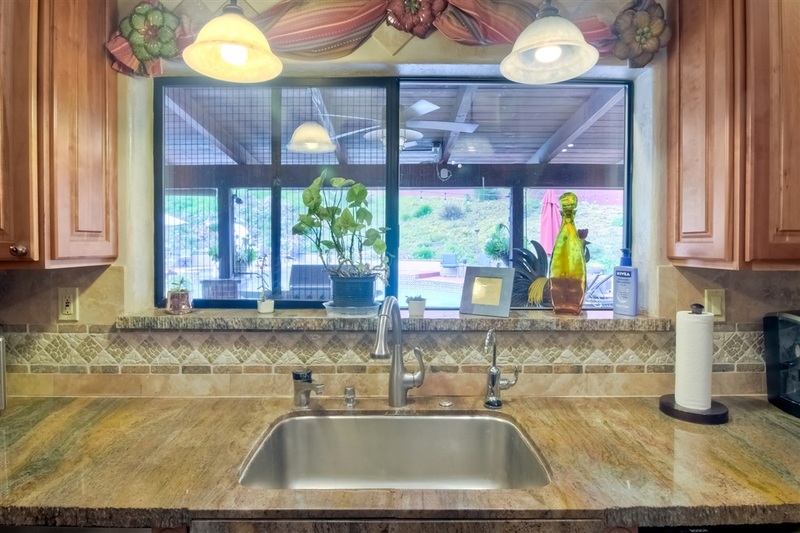 You will enjoy the serenity of this home, with attention to detail & functionality throughout. From the heated pool, spa, outdoor fireplace & covered outdoor kitchen, this is a true entertainer's delight! 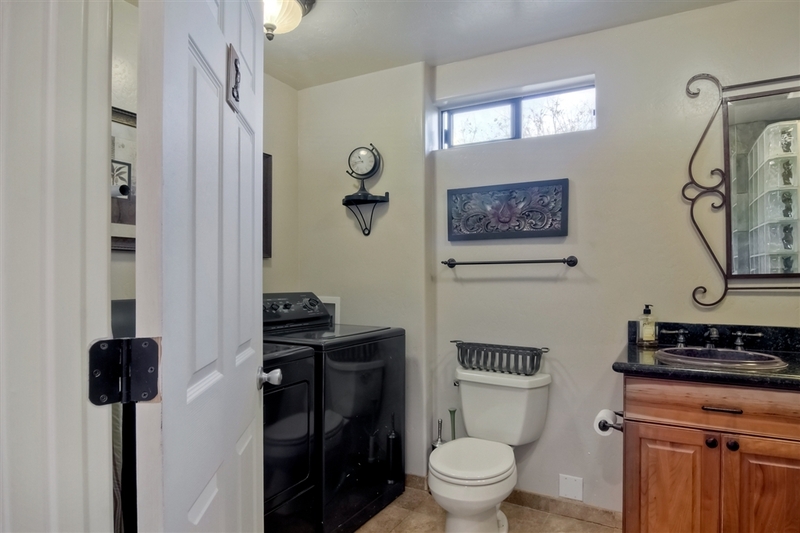 The park-like grounds on the side include a putting green, sandbox, play structure & convenient half-bath. 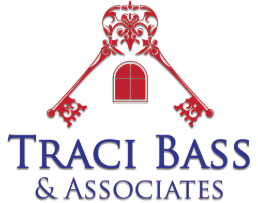 The front landscape grassy area affords additional spacious leisure activities., As you enter the home, you'll move from the formal entry to the sunken living room & fireplace on your left side. 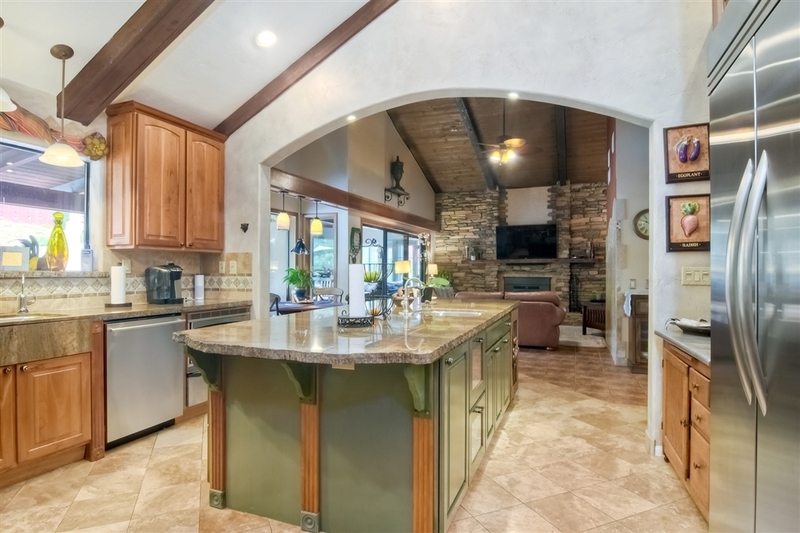 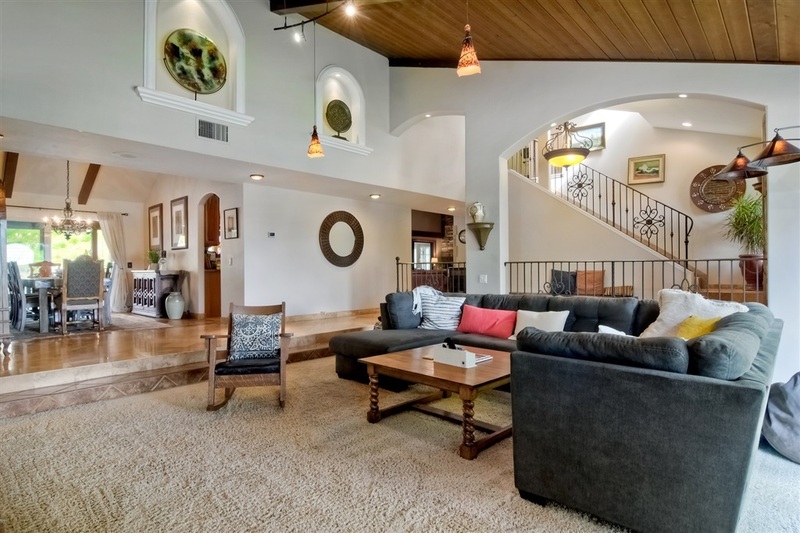 Beyond the main hallway is the spacious kitchen, which flows into the family room with fireplace. 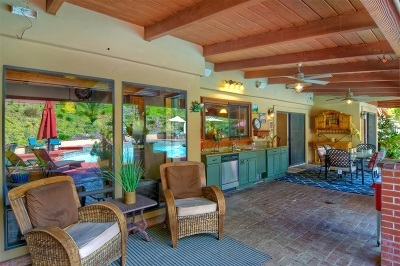 Further back is a game room, with access to the pool area and side yard. 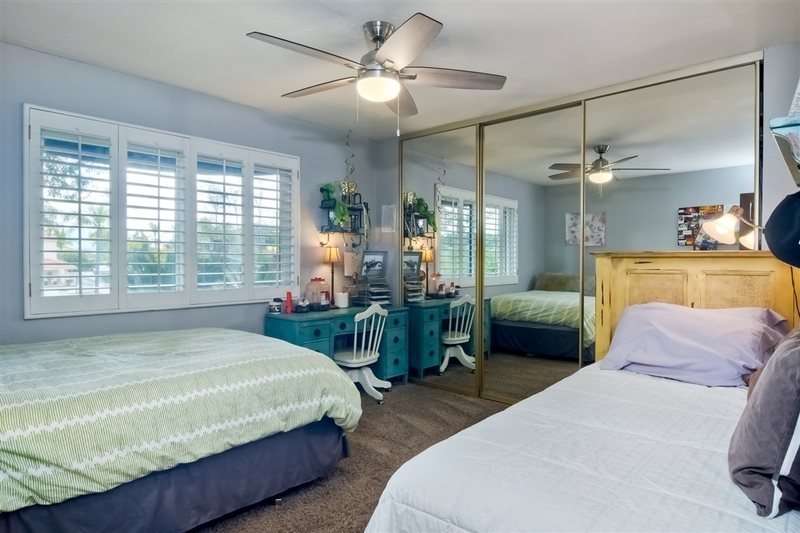 From the family room, you will enter the home office with built-ins, and on to the hallway with two bedrooms and a full bath. 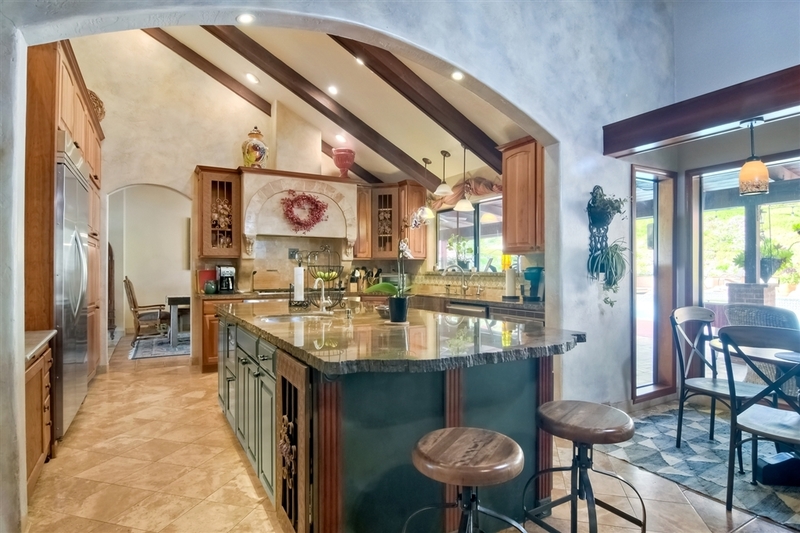 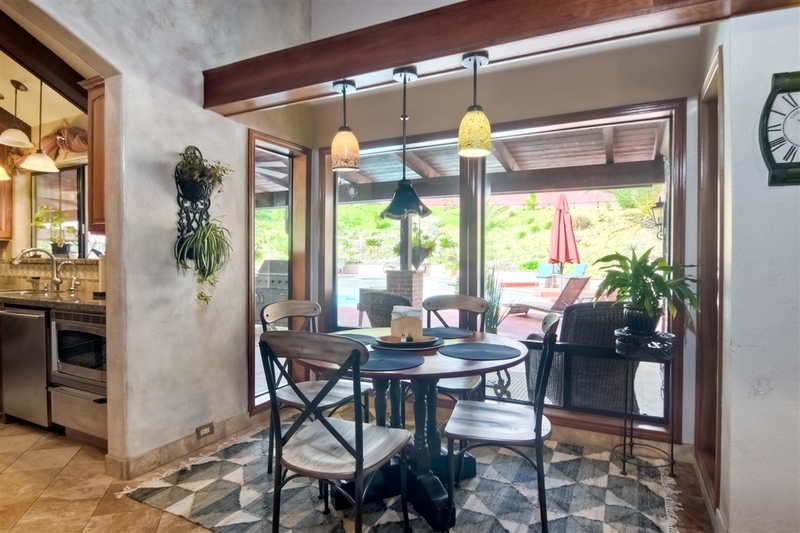 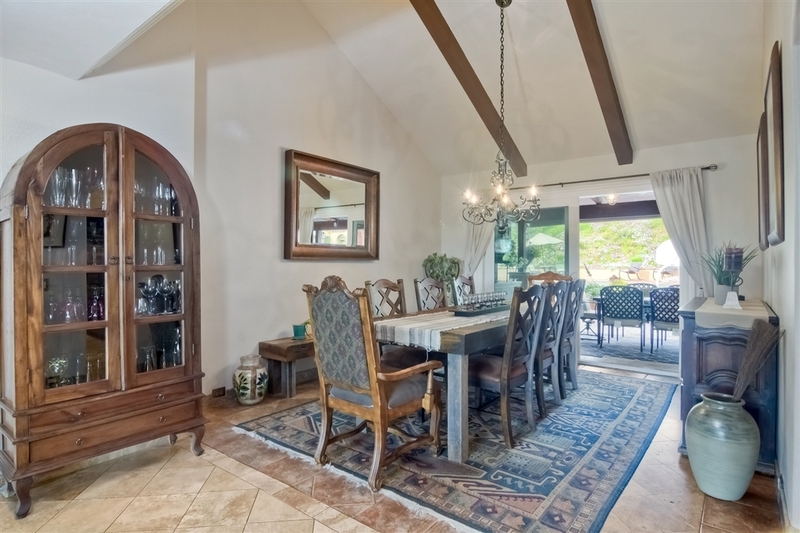 Past the kitchen is the formal dining room, which also leads out to the outdoor kitchen area. 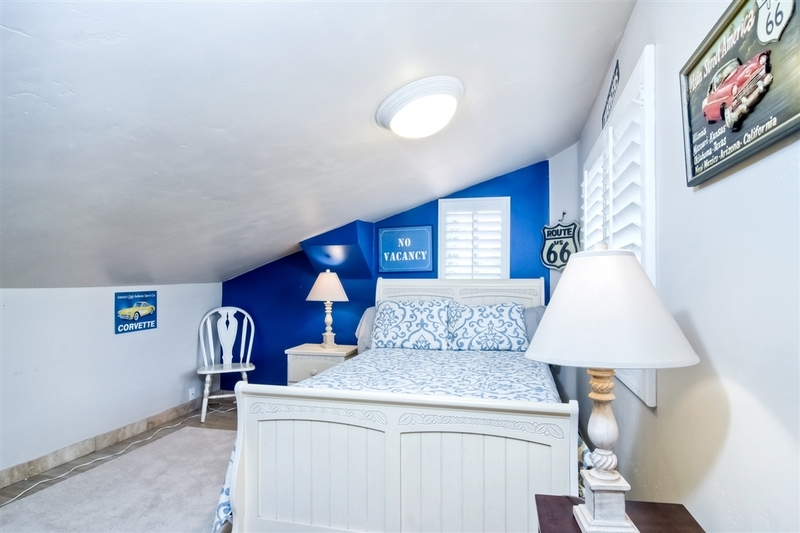 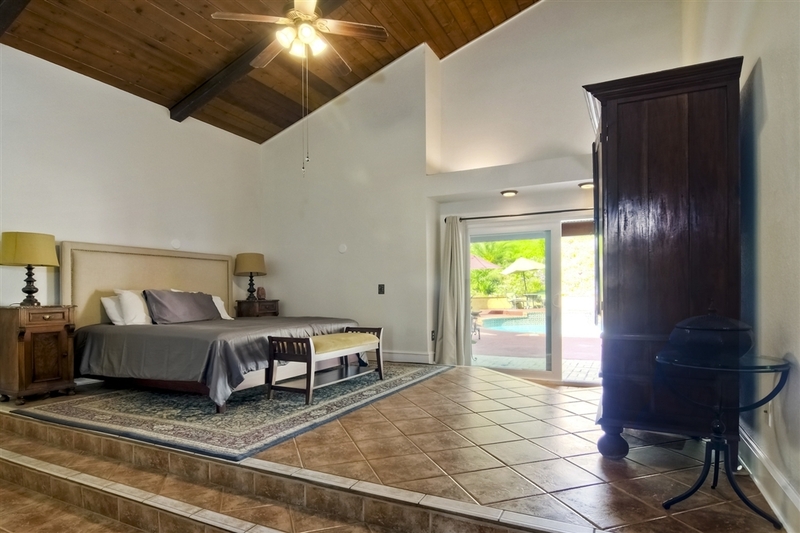 Further down the main hallway is a half bath at the end, and entrance to the master bedroom suite with an elevated sleeping area accented with rope lighting on the step. 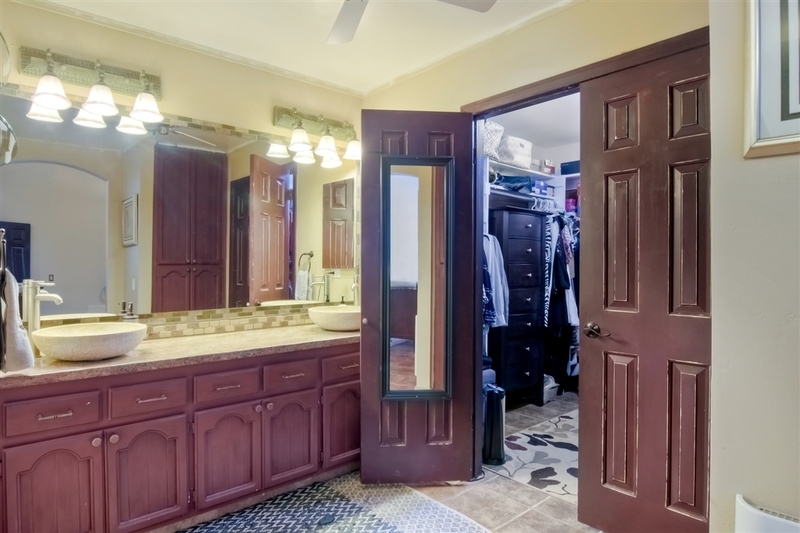 A laundry room area is located as you head down the side hall towards the stairs leading up to another bedroom with full bath. 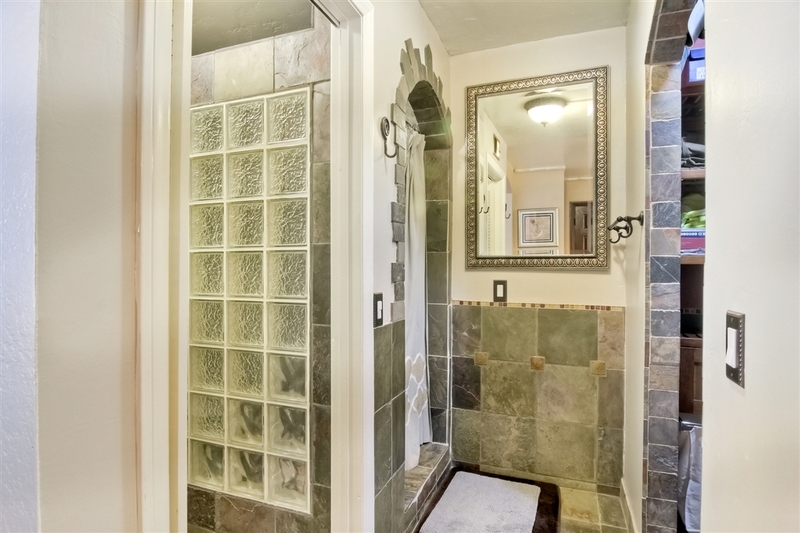 Just off the main home entry is another staircase, leading to the fifth bedroom with an adjacent full bath. 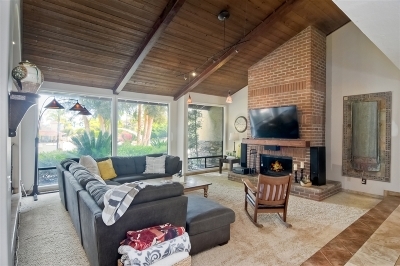 Utility costs are offset by the paid-for solar system installed last year. The home is conveniently located approximately 1 mile from the 15 freeway and Westfield North County Mall; 6 miles from the San Diego Zoo Safari Park; 2 miles to Lake Hodges; 2 miles to the Vineyard Golf Course; 28 miles to the Downtown San Diego Gaslamp Quarters and 29 miles to San Diego International Airport (Lindbergh Field).